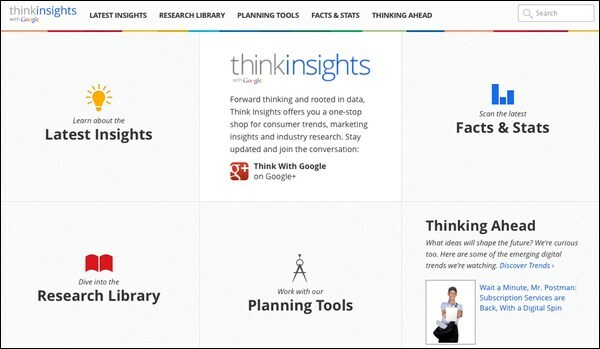 Google’s new research utility Think Insights is out of beta and is already providing valuable data to marketing professionals around the globe. At first glance I was overwhelmed by the plethora of information that’s available. There’s no doubt Google is a data driven company and now they are making that information available to everyone. 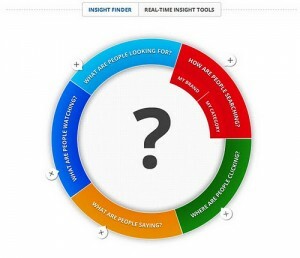 Take your industry of interest and research it in the real time insights finder and sit back while Google’s Think Insights blows you away with statistics, info graphs, digital trends and even planning tools. Interested in automotive online research habits to offline purchase percentage? They got it. Looking for amount of time a shopper takes to choose the make and model of a vehicle? According to Think Insights 58% of shoppers decided in less than one month’s time. 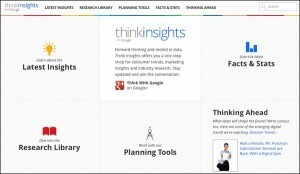 My favorite aspect of Think Insights is the Research library because it features a custom multi-media library of Google’s soundbites from industry events, videos and case studies. It was designed to equip marketeers with the knowledge, facts and data to have persuasive conversations to win new business. It’s a fascinating product and the fact that it’s free makes it that much better. I think Google just officially positioned itself as the internet’s thought leader. Yorumlarınız için teşekkür ederiz. Google Insights düşünün Ne gibi mi?